ProCleanersNJ is focused on providing high quality tile and grout cleaning, and customer satisfaction. 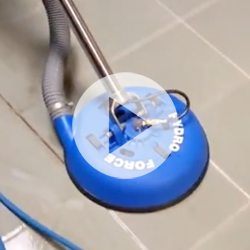 Using our powerful state-of-the-art grout cleaning system, we will breathe new life into old tired grout! 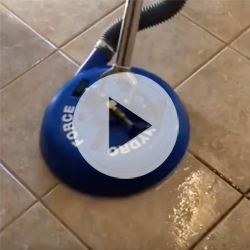 A combination of super hot, high-pressurized water along with a powerful vacuum, our grout cleaning wand can blast away years of dirt and grime and extract everything leaving the area clean and virtually dry with each pass. When combined with our ProCleanersNJ Seal Grout Restoration System, your sanded grout will look as new as the day it was installed. The ProCleanersNJ System also offers maximum protection from future staining and will make the grout easier for you to keep clean. Our tile and grout cleaning method is very neat and proven to be the Fast, Affordable and Effective solution for your dirty grout needs! You can sit on that dirty tile floor and scrub all day, but no matter how long you spend mopping and scrubbing, you'll only be half finished; the floor will never be clean until you get a good grout cleaning job done on the grout joints. 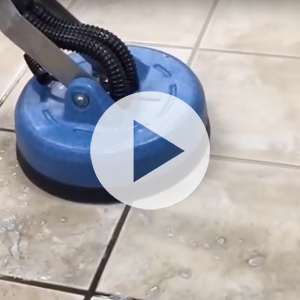 Grout cleaning is the toughest part of cleaning any tile floor, whether you have Mexican tile, slate, ceramic, travertine, granite, porcelain, or terrazzo getting that grout clean, this is because the dirt in there is usually untouched by mops, and household scrubber vacuums. Call ProCleanersNJ, 973-343-7627 and we'll come to the rescue! ProCleanersNJ's professional Tile Cleaning and Grout Cleaning process will keep your tile surfaces, grout lines clean and fresh. We can boldly go where bottled cleaners and household mops have never gone before!